Are your Accounts Payable Operations measuring their performance? If not, how can progress toward goals be determined? How can issues be identified before getting calls from Vendors? Or worse, Management and Customers? Key Performance Indicators (KPIs) for Accounts Payable can cover everything from the productivity of each AP processor to whether invoices are paid on time or, if late, how late. If resulting numbers are not as expected for a given process within a specific period, the root cause should be identified. Was it a one-time anomaly or did something change that may affect future results as well? Until the root cause is identified and corrected, the situation could affect the posting of financials, issues with cash flow, deterioration in Vendor relationships, delays in delivery of goods, etc. Here are some examples of AP related KPIs to consider. If the decision is made to measure performance, maintain a 12-month rolling trend analysis as well. Number of invoices processed into the ERP per month – is the trend affected by things other than vacation periods? If the number of invoices processed into the ERP is less than the number of invoices received, and the backlog is not growing, why aren’t all the invoices getting processed? One common cause is the vendors are sending duplicate invoices. Find out why the vendors are doing so. Instruct them to stop. The receipt of duplicate invoices results in time wasted on attempting to post and/or in the risk of a duplicate payment. The “Number of invoices processed into the ERP per month” can also be used to determine the cost of invoice processing. How do the costs compare to industry standards? What is the average amount of time it takes AP Operations to process an invoice from the Invoice Date to the Posting Date recorded in the ERP? 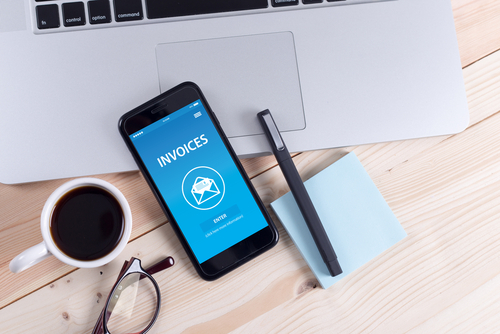 Is it different for PO invoices than for Non-PO invoices? If so, why? It has been my experience that in a manual processing environment, the time from the invoice date to the posting of Non-PO invoices in the ERP takes longer since G/L account coding needs to be assigned and the invoices sent out for approval. Or maybe the time lag between the date of shipment to the date of posting receipts causes PO invoices to take longer to process than Non-PO invoices. If so, is there a delay between the physical receipt of the goods and the posting of the receipt into the ERP? This issue, once identified, can be addressed. Another KPI to consider; number of invoices processed by each AP processor. This measurement should not be used to compare one processor to another but to identify swings in numbers. Is a processor experiencing issues that are affecting their work? Are they dealing with invoices from a new vendor that are taking longer? Or did a person take time off during the month that caused a fluctuation? When need be, work with the processor as soon as possible to keep their production numbers up. On occasion, senior management may ask AP if vendors are being paid on time. Don’t assume that a lack of calls from vendors means they are being paid to terms. Pull data from the ERP to determine the number of invoices, and dollars, paid early, paid on time and paid late. If paid late, consider measuring the number of days late. Tracking this KPI can alert a company to issues with invoices, POs, and possibly with vendors. For example, is the company receiving invoices from the vendor promptly? The list of possible KPIs for Accounts Payable can be lengthy. The intent of KPIs is to identify “problem” areas that can be improved. In a manual operation, the pulling and analysis of data could take half of a full-time person’s time depending on frequency of reporting and the ease of collecting data. However, since the goals are to reduce issues and for the operations to become more efficient, this should be considered a small price to pay. Learn much, much more in Anne's courses on Illumeo. Anne Wheeler is the owner of CS Process Flows, providing consulting and project management in Accounts Payable. After a 30+ year career in various accounting areas Anne founded CS Process Flows. Her experience includes AP operations, identifying inefficiencies, and implementing solutions in existing teams.